The 12 Most Essential How I Met Your Mother Episodes to Watch on NetflixThe groundbreaking sitcom leaves Netflix on November 13. M*A*S*H, How I Met Your Mother, and, Most Importantly, Bones Are Coming to HuluHulu’s deal with 20th Century Fox TV also includes rights to Glee, The Practice, and Dollhouse. 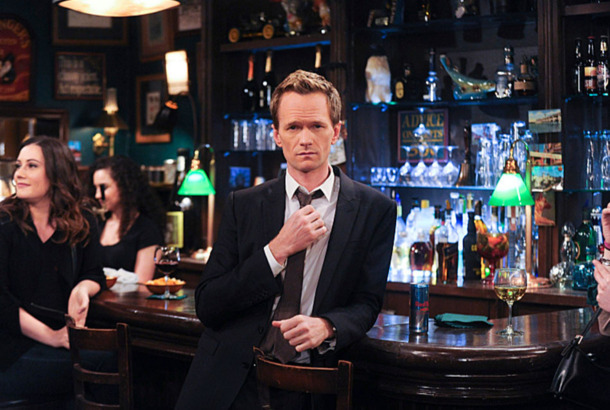 Another HIMYM Spinoff Is in the Works We are in an infinite loop of sitcoms. Jason Segel Is Onboard for a How I Met Your Mother ReunionTime to make this happen. The How I Met Your Mother Creators Are Returning to CBS With a New ComedyThere will be a mother! Another mother … but still. HIMYM’s Carter Bays & Craig Thomas Land New ShowThe duo’s New York Mythological is in development at CBS. Are Any of the New Fall Shows Good? Your Pressing TV Questions, AnsweredPlus: Should I watch How I Met Your Mother even though I know the ending sucked? 9 Books to Read If You Miss Your Favorite TV ComedyThe waiting is the hardest part. How I Met Your Mother’s Alternate Ending Seems to Have Leaked Here’s your happy ending. Vulture TV Awards: Most Disappointing ShowPlus a few dishonorable mentions. Why CBS Passed on How I Met Your DadIf fan reaction didn’t kill it, what did? A Mother Funeral Scene Was Cut From the How I Met Your Mother FinaleAlyson Hannigan says it would’ve helped. There’s an Alternate Ending to How I Met Your MotherIt’ll be available on DVD soon. What the Stars of How I Met Your Mother Are Doing NextBroadway, a David Foster Wallace biopic, and something about a Polish love triangle. Take One Last Look Behind the Scenes at How I Met Your MotherIncluding a Robin Sparkles performance. Watch a Video That ‘Fixes’ the Ending of HIMYMMaybe simpler is better. Review Roundup: There Were Some HIMYM DefendersThough many asked if it was possible for a disastrous conclusion to negate everything that came before it? Ratings: How I Met Your Mother Exits With Its Biggest Audience EverNo word on how many hate-watched. HIMYM’s Lily and Marshall, TV’s Best CoupleOur tribute to the Tami and Coach of the sitcom world. How I Met Your Mother Series Finale Recap: Not-So-Happy EndingsThere’s bound to be a lot of feelings in the room. The How I Met Your Mother Finale Bailed on the Entire ShowToo bad all those slaps are used up. Because the show could really have used one more. Looking Back at How I Met Your Mother’s Terrific PilotSix things that made HIMYM’s 2005 premiere so special and how they might be echoed in tonight’s finale. 10 How I Met Your Mother Running Bits As InfographicsWhen did Robin Sparkles want to go to the mall? How often does the “Naked Man” work? Who asked Patrice? And more. Every Time Barney Says ‘Wait for It’ on How I Met Your MotherIt’s legendary.